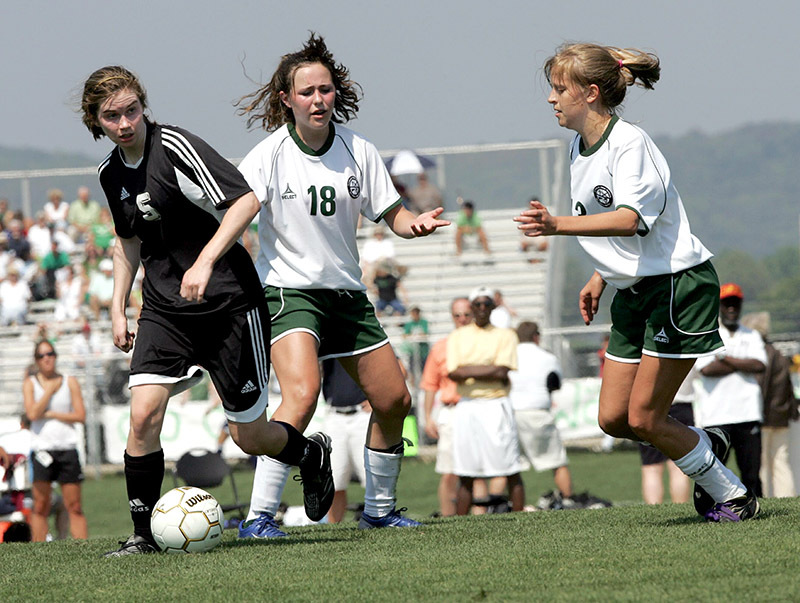 Altamont School's Libby Musgrave, left, was the most valuable player of the game against Catholic High School (CHS) in the AHSAA State Soccer Tournament in May 2008. In white shirts are CHS players Mary Kate Groark (#18) and Christine Schwartz. Courtesy of The Huntsville Time. All rights reserved. Used with permission. Photograph by Mike Mercier.